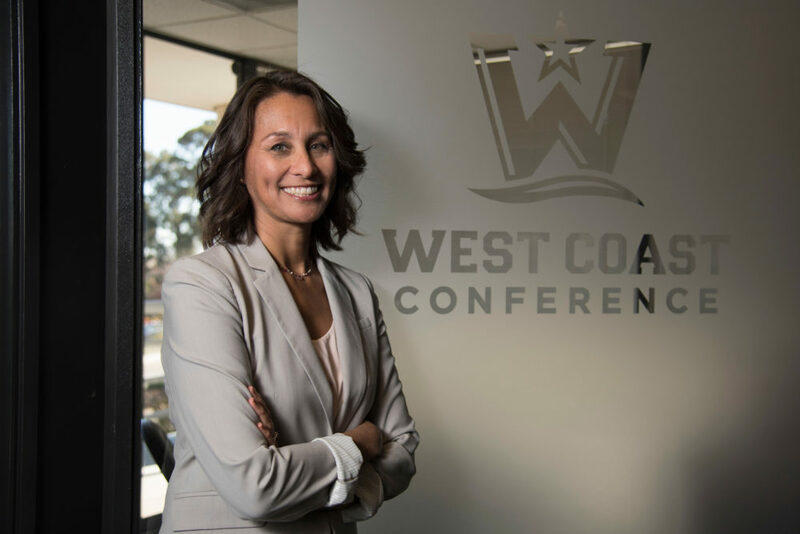 Seven months ago, Gloria Nevarez was appointed the commissioner of the NCAA's West Coast Conference. 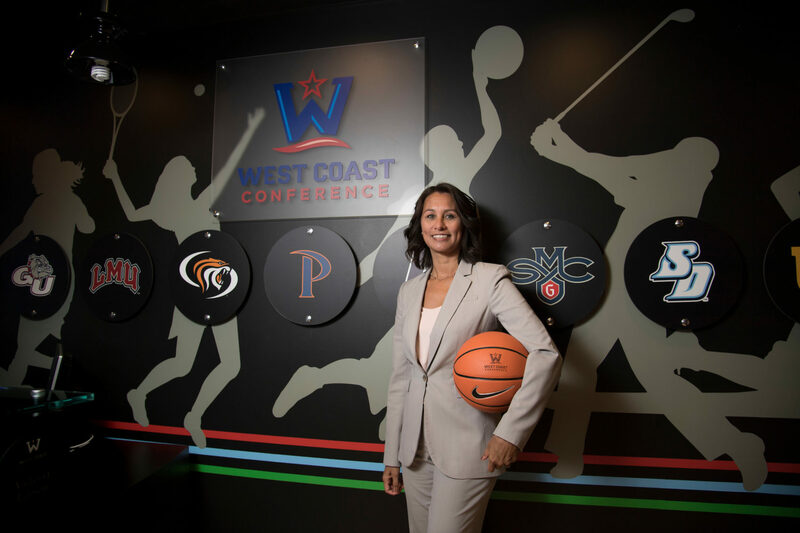 The very day she was announced as the new commissioner of the WCC — before she’d even left her job at the Pac-12 — Gloria Nevarez had some work to do. The West Coast Conference is made up of mostly smaller schools. Gloria likes to say that they “fight outside their weight class” — taking on much larger schools and still managing to be nationally competitive. But the league wouldn’t be the same without Gonzaga. “So it became, very quickly, me sprinting around the western region to begin talks with Gonzaga to catch up on the issue and to ensure that the WCC's represented in all these conversations as they made that deliberation,” Nevarez says. 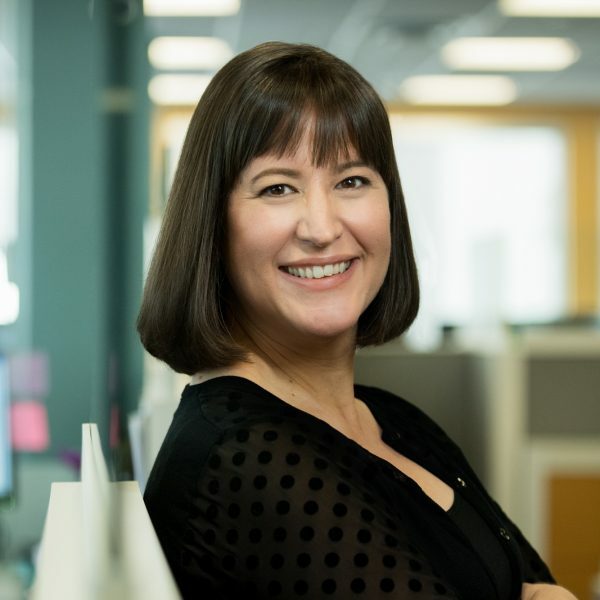 When the WCC announced their new hire, the press release listed Gloria’s credentials: degrees in Sport Management and Law, decades working up through the ranks of university athletic departments and college conferences. But in the third sentence, the announcement also took note of something else. "I don't know that any other announcement that I've ever had dealt with that issue," Nevarez says. Gloria Nevarez is the first Latina to be named commissioner of a Division I conference. "I'm actually half Mexican, a fourth Filipino and a fourth Irish," she says. "We spent some time thinking, ‘Do you call it, “first Mexican-Filipino-Irish person?" Or do you call it Latina?’ Because I grew up not speaking Spanish. But I certainly know what it's like not to be white." Gloria grew up in Santa Clara, California — before the tech boom. She describes it as a “bedroom community.” A very diverse bedroom community. "And, in fact, all my teammates were either Asian or Filipino on my high school basketball team — which doesn't make for a very strong post game," Nevarez says. 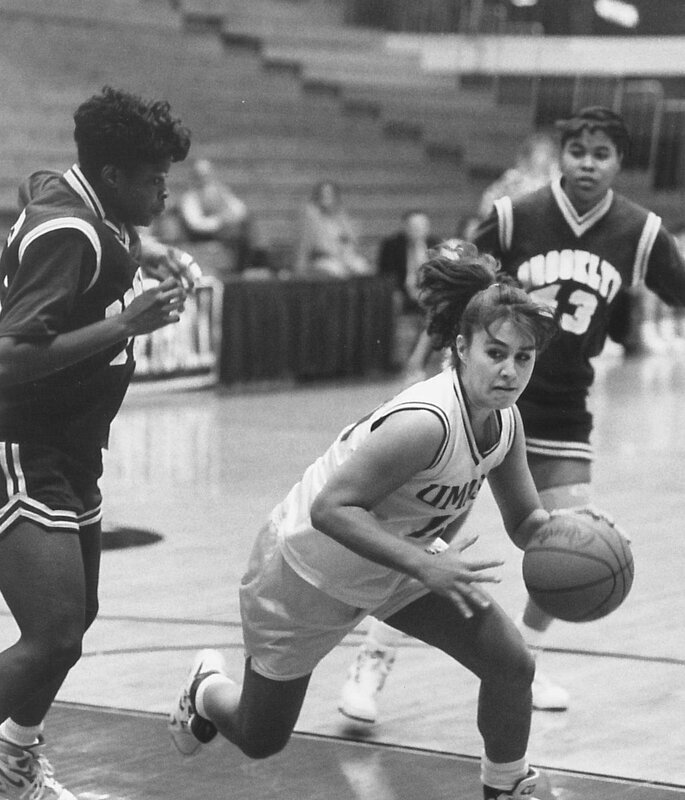 In 1989, Gloria earned a scholarship to play basketball at the University of Massachusetts Amherst. She signed her letter of intent late, which meant she missed summer orientation. "I show up on the first day," Nevarez says. "And within that first week, I got a letter in the mail that said, ‘Dear student of color.’ And I thought, ‘Oh, my gosh, we must have got assigned colors at orientation — because I have no idea what this means.’ I'm asking my roommates, ‘What color are you?’ I had no idea. Never heard that term." Gloria found the answer — and someone who would become a lifelong friend — right down the hall. "She was the beginning of my education and what it means to be a Latina. She broke it down for me." Race and gender have always defined how others see Gloria Nevarez — even when she was too young to realize it. "Definitely a tomboy," Nevarez says. 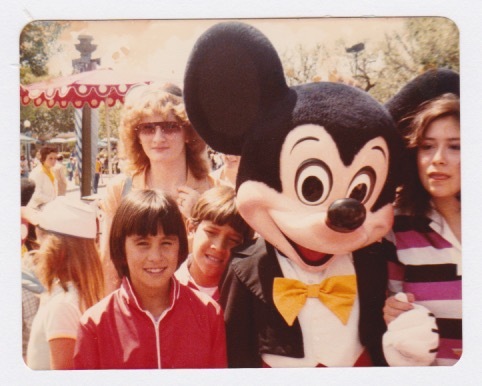 "In fact, my babysitters used to call me Mowgli because I was just — I looked like a little brown boy running around with no shirt on and a bowl cut. But I will say, bowl cuts were very in at that time." Growing up, Gloria spent a lot of time with the Mexican side of her family: her father’s parents. "The more I ran around outside, the browner I got," Nevarez says. "And that wasn't very attractive to my grandparents. Because I think, in their culture, that signified working outdoors, working class." At the time, Gloria thought her grandparents just didn’t like her being such a tomboy. "But my mom recalls them saying, you know, ‘Don't let her play outside so much. She's getting really brown.’ "
During her time at UMass, Gloria noticed that most of the athletes were shades of brown and black — and most of the other students were not. Still, she wasn’t focused on race during her time in school. "It was really just about basketball, basketball, basketball ... and then some school and more basketball," Nevarez says. "No, it's because I was freakishly good at standardized tests and happened to do really well on the LSAT," Nevarez says. "I kid you not." Early on, Gloria realized that she didn’t want to work in law. She wanted to work in sports. But she’d spent a lot of money on law school tuition. So she needed to find a place where she could do both. "I bumbled down to the UC-Berkeley athletic department, and their compliance person there had a law degree," Nevarez says. His name is Dan Coonan, and when Gloria “bumbled” into his office, he was in the middle of a major investigation into Cal’s basketball program. Coonan was going to be kept pretty busy for the next few months. Gloria saw an opportunity. "I said, ‘Hey, I can help you out. And, since you're an attorney, you can sign off for law school credit for me,’ " Nevarez remembers. "And we both high-fived — that was a deal, let's do it. And it was great. "Compliance was this new field. I mean, now, compliance departments are eight to 10 people deep, all with law degrees. At that time, it was one person. So at Cal — 900 student athletes, 27 sports, one compliance person. So it was just a burgeoning field, and I happened to be at the right place at the right time with the right credentials." In 1998, Gloria was hired out of law school to establish a compliance program at San Jose State. A year later, Dan Coonan, her old boss at Cal, took another job. Gloria came back to Cal to replace him. "And being a sports person or a jock and being a tomboy, there's a certain level of pride of being able to roll with the punches and joke on that level. Today, if I heard that happen, I would definitely react differently on behalf of myself and others." But Gloria couldn’t laugh off what happened next. "I was still junior management, still a newbie in the ranks," she says. "And I was with my boyfriend. We're at the department Christmas party. And a senior associate — we all, you know, do the side-shoulder hug and take a picture for the photographer — and he reaches around and grabs my behind. I'm shocked. This one I do ... red flags all over my mind." The very next day, Gloria went to senior management to file a complaint. "And I'm advised that, you know, 'You can definitely file something. I agree with you that is wrong. Is that ... Is that what you want to do?' And that's a hard question. Is that what I want to do? I'm brand new. I'm proving myself in this job. It could go really wrong. I love this career, I love this path. Is that what I want to do? "And I still can't believe I did this. Instead, I opted to call that guy into my office. And at the time, I'm in this tiny little tweener office — it really should have been a closet. And we're squeezed in there. And I — you know, in my mind, I'm really bold and sure of voice. "But I'm sure, at the time, my voice was shaking. I was stuttering, trying to look him in the eye and just say, ‘Look, this happened at the Christmas party. It's not right. I don't deserve to be treated that way. 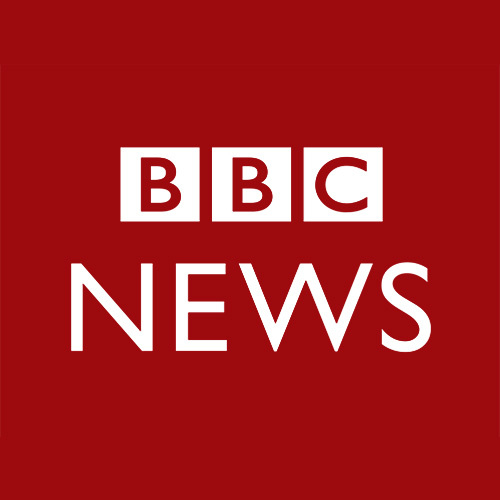 I'm a colleague here, I deserve to be treated with more respect.’ "
The man apologized. He agreed that his actions were wrong. He agreed that Gloria should be respected. "The most powerful thing about that is then I could walk the halls and not be afraid of running into him," Nevarez says. "It was an empowering moment. Still, when I talk about it now, I think back: ‘Wow, if that was a different personality on the other side of the table, that could have gone really, really different.’ "
Gloria says she’s a nose-to-the-grindstone worker. Take care of the problem in front of you. Don’t worry about anything else. But looking around her workplace, she realized something. "You know, one of the hardest questions I get, you know, ‘Who were your female role models and mentors coming up through the ranks?’ " she says. "Honestly, I didn't have any. Nobody looked like me." As Gloria’s career progressed and she was asked to do more traveling, she did meet other women on the job who were helpful and welcoming. Every college athletic department has at least one woman on its senior staff. It’s something that’s actually required by the NCAA. Athletic departments must designate the senior-most woman as their “Senior Woman Administrator” or SWA. Gloria says SWAs are often the only woman on the senior staff. So, as Gloria looked around her industry and noticed how few people looked like her, she realized something: It wasn’t enough just to do the job. She needed to do something more. "I have an obligation here to advocate and to be seen and to be heard," Nevarez says. "And, you know, if they're gonna have a diversity committee, 'Why don't you serve on it?' You know, 'We're having a gender equity committee, you should be on this.' Because, who else?" Gloria missed out on a lot of the traditional networking opportunities her male colleagues enjoyed. But she found other ways to connect. While sitting on one of those diversity committees, she met the athletic director at Oklahoma, Joe Castiglione. And like every other NCAA school, Oklahoma already had one woman on its senior athletic staff. "So when I got hired at Oklahoma, everyone asked me, ‘Where's Stephanie Rempe? Where's Stephanie? Where'd she go?’ Because she was the SWA. I was like, ‘Hold up, folks. She's still there. Joe actually hired a second woman! I know! Insanity in Norman!’ "
Gloria says the SWA position has created a lot of opportunities for women that they might otherwise not have had. But it has also held some women back. "Because if you are the SWA, are you only limited to women's issues?" Nevarez says. "Are you only limited to women's sports? And in big-time college athletics, working with football, the revenue sports, men's basketball, it's important in order to build your resume to take that next step." Thanks to the opportunity Joe Castiglione gave her in Oklahoma, Gloria Nevarez was able to take that next step in 2010, when she returned to the West Coast and helped turn the Pac-10 into the Pac-12. The step after that was to her current post as commissioner of the West Coast Conference. But even with all the work she’s done in diversity and gender equity, when it came time to write the press release announcing her appointment as the first Latina head of a Division I conference, Gloria wasn’t sure. She wondered: was her experience representative of other Latinas? "You know, I don't know," Nevarez says. "But I certainly do feel proud of the fact that I'm the first at this. It's the same that I think any woman who achieves a leadership position hopes — that, you know, seeing someone else do it flips that switch in your head that you can, too. Because, even on my worst day, I'm still working in sports. It's a lot of fun."